By the end of 2018, Canada's immigration goals successfully achieved a desirable number. Authorities thank the Express Entry Program and take pride in the provincial nomination service through which Canada could sustainably invite a larger number of immigrants in 2018. If you look back at all the Canada Express Entry draws of 2018, you will notice that during each draw more than 2,000 candidates were invited by the CIC. The cut off score started with 446 points and was reduced to 439 in the last Express Entry draw. Surprisingly, IRCC records this CRS cut score to be the lowest of the year. When Express Entry started in 2015, the draws were made between 2 and 4 weeks. There were some months in which the Express Entry Draw was held only once a month. But, with a greater ability to adapt to Canada Express Entry System and its full operation that favored Canadian Government and Employers, which resulted in increased number of draws. In 2018, the draws were held almost 2-3 times in a month, inviting a larger number of qualified professionals. This year, the frequency with which draws will take place will also increase. Each year, the Provincial Immigration Nomination Programs to Canada have proven to be a more efficient and quicker method to invite qualified professionals to Canada from all over the world. By understanding the importance of a PNP Nomination Certificate to increase the CRS score, a large number of applicants have benefited from this service. Observing that both applicants and provinces are finding PNP a faster method for public relations success, it is stated that this year more PNP programs will be aligned with Express Entry and increase the number of nominations. Canada's growing Job Market demands more qualified professionals this year. Especially, IT jobs in Canada seem to increase more than ever. To cope with these growing job offers in Canada, employers will aggressively seek out more applicants in the Express Entry group and invite those eligible for a Canada visa with job offers. Undoubtedly, the CRS score is the heartbeat of Canada's PR process through Express Entry. The selection of an application is based simply on the score that can be obtained in the Canadian CRS point calculator. During the initial days of the Express Entry, only candidates with a higher CRS score, i.e., those with CRS above 700 points received an Invitation to apply. However, by the time CIC has eliminated the scoring requirement in each draw and this year, it is expected to fall into more numbers. This means that applicants with a CRS score of less than 450 can also expect faster visa success. Although Canada's immigration in 2019 seems promising, any slight change in the rules could cause time to turn against you. To be sure, it is always suggested to apply for your immigration on time and in assistance from trusted immigration consultants in India. 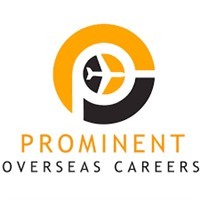 So, get connected to Prominent Overseas Careers today!